Thursday, June 7, 6-8 p.m.
Saturday, June 9 at 2:00 p.m.
A tribute to the well-known artist and humanitarian. Hosted by the film’s director, Richard Kane. 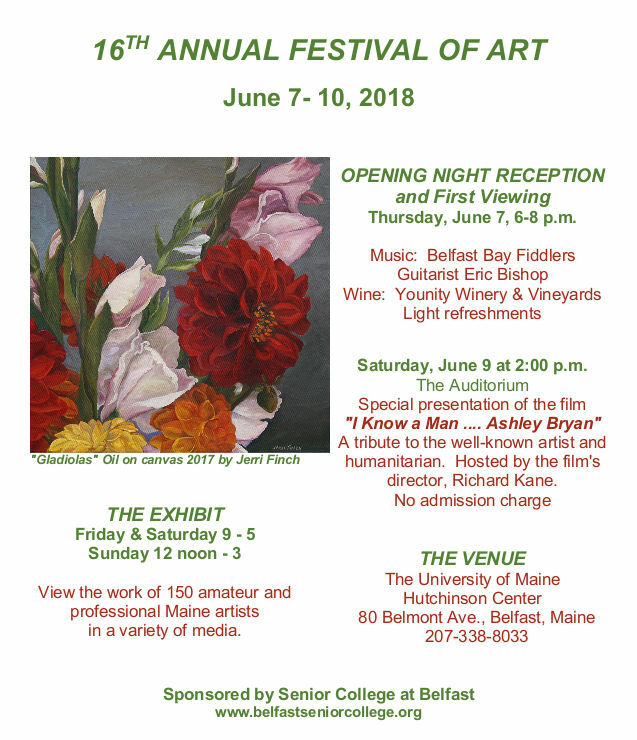 View the work of 150 amateur and professional Maine artists in a variety of media. 6:00 to 8:00 pm: Opening night and first viewing. Music entertainment by the Belfast Bay Fiddlers and guitarist Eric Bishop. There will be light refreshments and wine from Younity Winery & Vineyards. 2:00 pm: Special presentation in the auditorium of the film “I Know a Man …. 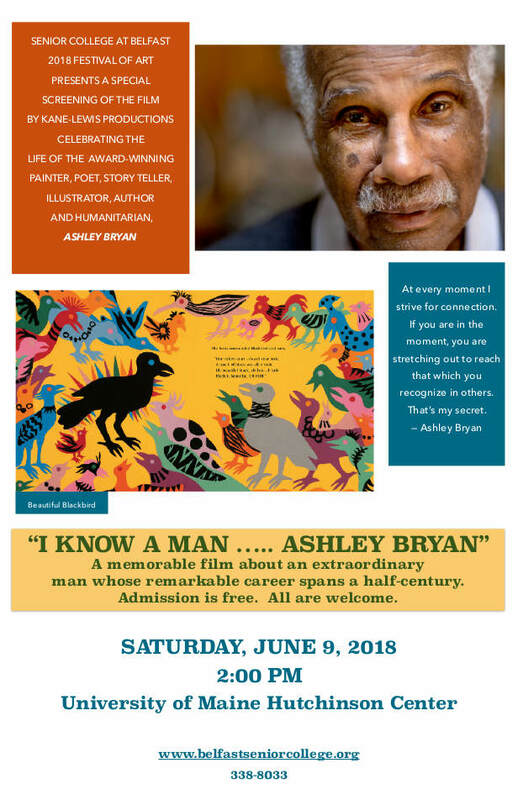 Ashley Bryan”, a tribute to the well-known artist and humanitarian. Hosted by the film’s director Richard Kane, there is no admission charge to view the movie, all are welcome.